“What am I in the mood for?” is a question I have often asked myself when staring at a menu while a waitress waits patiently to take my order. Time and time again, that question also crosses my mind when I am standing in front of an open fridge door. My mood has often determined the answer in the past. I have found that my feelings frequently navigated what I put in my mouth. The more I needed to feel grounded or comforted, the more I gravitated towards “comfort food.” Sound familiar? What exactly is comfort food anyway? Comfort food can be anything you choose. It is different for everyone. It originates from personal feelings of familiarity, nostalgia and sentiment from previous times in our lives when we felt contentment, safety, love and/or solace. Since life offers a lot of twists and turns, we often find ourselves needing to reconnect to times when we felt the most alive or safe. Often times, we try to recreate pleasant experiences in any way possible, whether consciously or subconsciously. The easiest way our subconscious accomplishes this task is by turning to food, because our first experience with food was through “mother’s milk” and during the first developmental stage of human development. According to psychoanalyst Erik Erikson, this stage involves feeding and learning trust vs. mistrust. It is no wonder we associate feelings to food. Consequently, the concept of “comfort food” was cultivated. Most common comfort foods are processed, highly caloric and filled with trans fat and unhealthy ingredients. So what do you do when you need a walk down memory lane with food, but want to stay on the healthy track? You try alternatives. Here is a composed list to provide you with some healthy substitutions for several of the most common “comfort foods.” I encourage you to try them. You may like some of these suggestions better! 1. Chicken Tenders – Instead of fried chicken tenders, try gluten-free, baked chicken tenders (recipe below) or grilled chicken strips. Add lemon juice and season to spice up the flavors. 2. 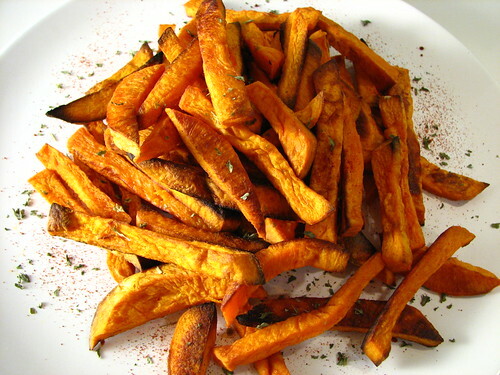 French Fries – Instead of fried white potato French fries, try baked sweet potato fries or baked red potato French fries. 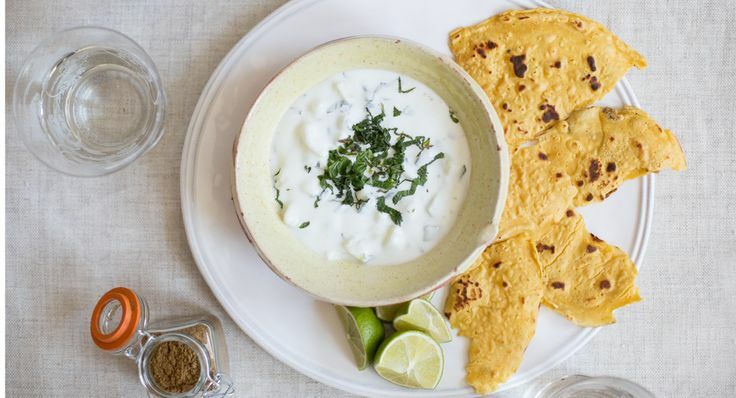 Add a little cayenne pepper and yogurt sauce to dip for additional flavor (recipe below). 3. Hamburger – Instead of commercial hamburgers, try a grilled veggie burger, turkey burger or chicken burger. If you feel like you want/need meat, try an organic, grass-fed ground beef burger and top it with lots of veggies on your favorite whole grain bread (preferably sprouted or gluten free). Or wrap up in a big romaine or collard leaf for added nutrients and a delicious crunch. Use avocado in place of mayonnaise. 4. Pizza – Instead of an all cheese, sausage or pepperoni pizza, try a veggie-filled pizza with minimal cheese on top. Get creative and make a salad out of your pizza by adding veggies you would normally put in a bowl. Make sure to have an extra side of marinara sauce to use for dipping purposes. 5. Mashed Potatoes – Instead of boxed or buttery mashed potatoes, try mashed potatoes made with coconut cream and coconut spread (recipe below). 6. Lasagna – Instead of meat lasagna, try a veggie-packed lasagna with minimal cheese. Pile on spinach, broccoli, carrots, mushrooms, yellow squash and diced tomatoes with lots of onions and garlic. Instead of using white pasta lasagna noodles, use gluten-free lasagna noodles or thinly sliced zucchini to layer your lasagna. 7. Tacos – Instead of deep fried corn shelled tacos, try collard greens or different types of lettuce to use for the “taco shell.” Go easy on the cheese and sour cream and add avocados and lots of veggies. Note: add more veggies and/or beans than meat and dairy. 8. Grilled Cheese – Instead of buttery, white bread grilled cheese sandwiches, try using raw organic cheese, Manchego cheese made from sheep’s milk, or goat milk cheddar. Grill with coconut spread or ghee on your favorite whole grain bread (preferably sprouted or gluten-free). To amp up your grilled cheese, use half the amount of cheese you normally would and add grilled onions and spinach with a couple slices of avocado. 9. Potato Skins – Instead of loaded potato skins with bacon, cheddar and sour cream, make your own with red or sweet potato. Add nutritional yeast as a cheese substitute with broccoli and a dollop of garlic yogurt sauce (recipe below) to enhance the flavor. 10. Buffalo Chicken Wings – Instead of buffalo chicken wings that are usually fried with the skin, try going skinless. Dip them in your favorite hot sauce with a little raw honey and apple cider vinegar, then toss them in the oven to bake. 11. Potato Chips – Instead of oily potato chips, try baking your own potato chips using red, white, purple and sweet potatoes. Thinly slice the potatoes and toss them in a drizzle of coconut oil, sea salt and black pepper. Spread evenly on a baking sheet and bake at 350 degrees until crisp. 12. Ice Cream – Instead of commercial ice cream, try almond, coconut, or soy ice cream. Add raw nuts, almond butter and/or berries with raw cocoa chocolate shavings. Get creative! Rinse chicken strips with cold water and set aside on a plate. Beat the egg in a separate bowl with a pinch of sea salt, black pepper and dried Italian spices and set aside. In medium mixing bowl, add 1 cup gluten-free Panko breadcrumbs and 1 cup gluten-free garbanzo bean flour (or gluten-free flour of your choice) and mix with 1 tsp sea salt, ½ tsp black pepper, 1 tsp garlic powder and 1 tsp onion powder (*optional- add a pinch or 2 of cayenne pepper powder for a little kick). Brush coconut oil on a baking sheet. Take chicken tenders one at a time and dip in egg batter first. Then, coat with breadcrumbs and gluten-free flour mix. Place on a baking sheet about an inch apart. Bake for 10 minutes on each side at 400-450 degrees or until golden and cooked through. *To check if cooked thoroughly, poke with a toothpick. If the toothpick doesn't go through easily, it still needs to cook longer. Cut potatoes into thin strips, rinse and toss with coconut oil or ghee, sea salt and black pepper. Bake 15-25 minutes at 425 degrees, or until cooked to your liking. Mix all ingredients in a bowl. Chill in the fridge for 1 hour before serving. Melt coconut butter or ghee in a small saucepan and then add the coconut milk. Stir until there is a slight boil and set aside. In a large bowl, add all the remaining ingredients with the coconut milk/butter or ghee mixture. Use a hand masher or an electric hand beater to mash the potatoes and mix well. Add a little more coconut creamer and coconut spread to achieve the consistency desired. Doris Dahdouh has a Master’s Degree in social work and has helped counsel children and help families since 2001. In 2012, she became very ill due to a hormonal imbalance and autoimmune disorder. Doris was diagnosed with Polycystic Ovarian Syndrome (PCOS) and Premenstrual Dysphoric Disorder (PMDD) many years ago and was treated with mainstream medicine which did not help her. She hit rock bottom before finding refuge in holistic living, by juicing, going gluten free and eating clean, organic, whole foods. Over the past couple of years, Doris has educated herself on a healthy lifestyle by reading information by Dr. Joel Furhman, Drew Canole, Dr. Mark Hyman, Dr. Josh Axe, Vani Hari (a.k.a. Food Babe) and more. Doris is enrolled to become a certified health coach with the Institute for Integrative Nutrition and is very excited to help others achieve their best by combining her psychoanalytic skills and what she hopes to learn in the health coaching certification program. With a heart for others, she is eager to continue assisting as many people as possible towards optimal health.